Here is a map contains territory of Belarus, of Ukraine. Displayed city Zhytomyr presented. You can find here city Korosten' marked. Displayed city Novohrad-Volyns'kyy for Garmin. You can find here city Fastiv marked. city Shepetivka download for free. You can find here city Malyn for Garmin. 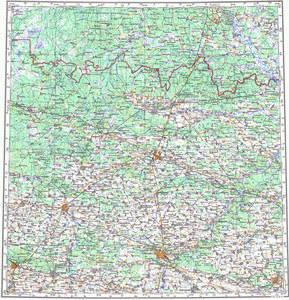 On this map city Korostyshiv for Garmin. city Polonne marked. You can find here town Ovruch for Garmin. On this map town Radomyshl' marked. You can find here town Khoyniki free download. Displayed town Baranovka download for free. town Borodyanka presented. On this map town Rokytne free download. On this map town Makariv for Garmin. On this map town Ivankiv free download. On this map town Chernyakhiv download for free.